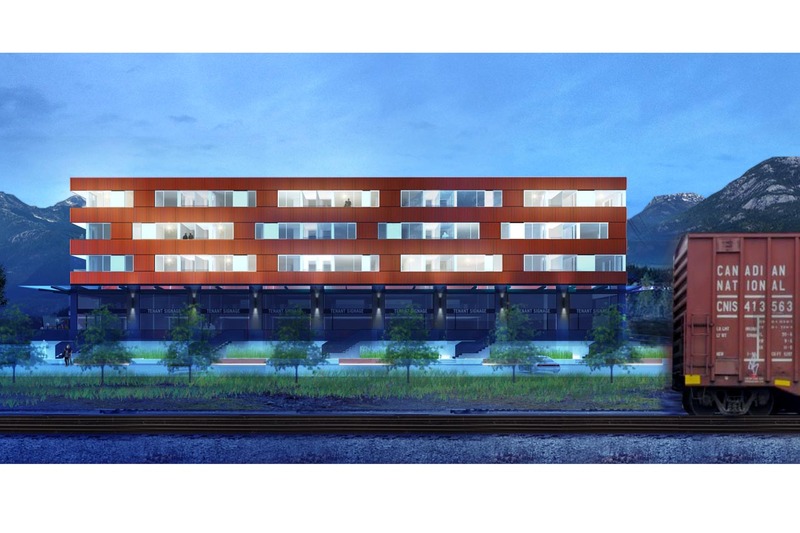 The proposed 5-storey mixed-use building consists of 11,400 sf of flexible commercial space and 27 rental apartments. 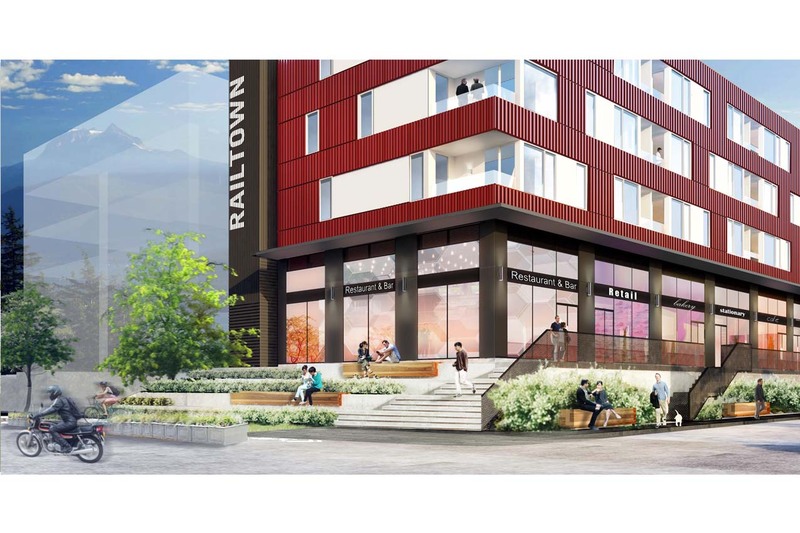 All of the commercial and residential units are oriented towards the adjacent railway, providing optimum mountain views and maintaining privacy for future residential development on the adjoining property to the west. 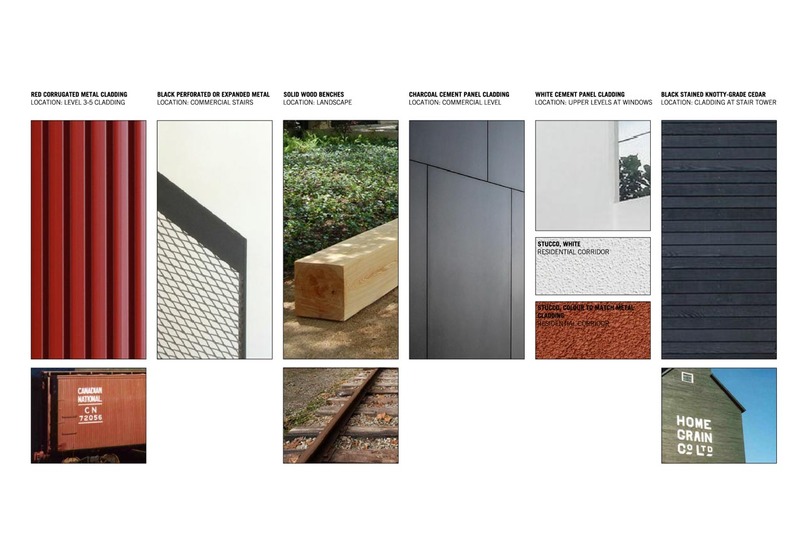 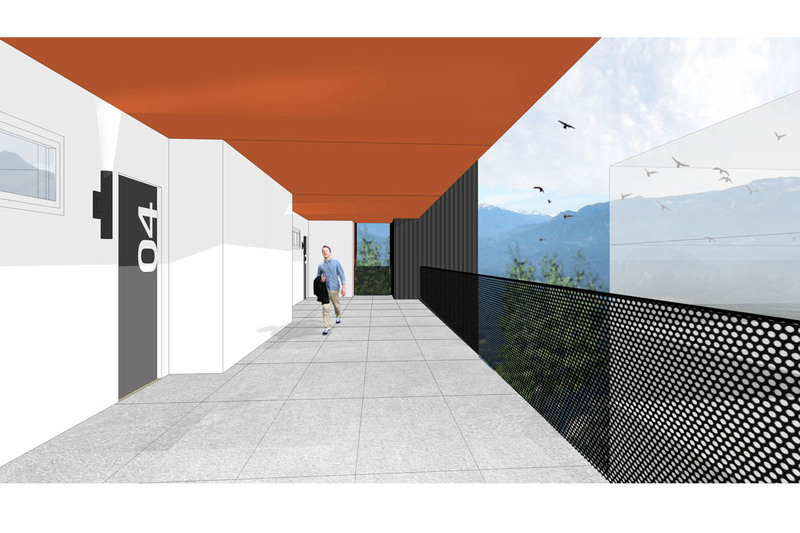 The exterior of the building has an industrial character which is informed by the surrounding context; materials such as corrugated red metal cladding, perforated metal gurdrails, charcoal stained cedar, metal stairs and steel/glass canopies make up the material palette. 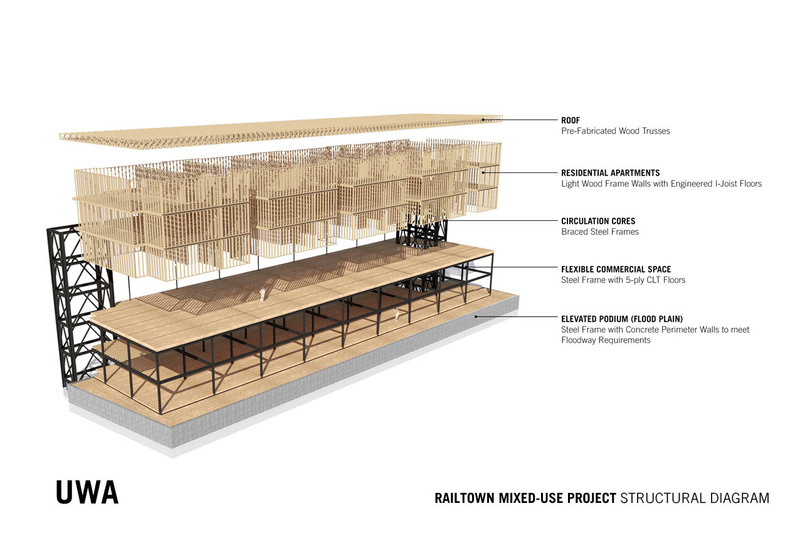 A 14,000 sf common usable outdoor space will be provided on the south end of the site to encourage activity, places of respite, and play for the community.